If you’ve been reading my posts lately, you know that I’ve finally been tackling my restaurant list. 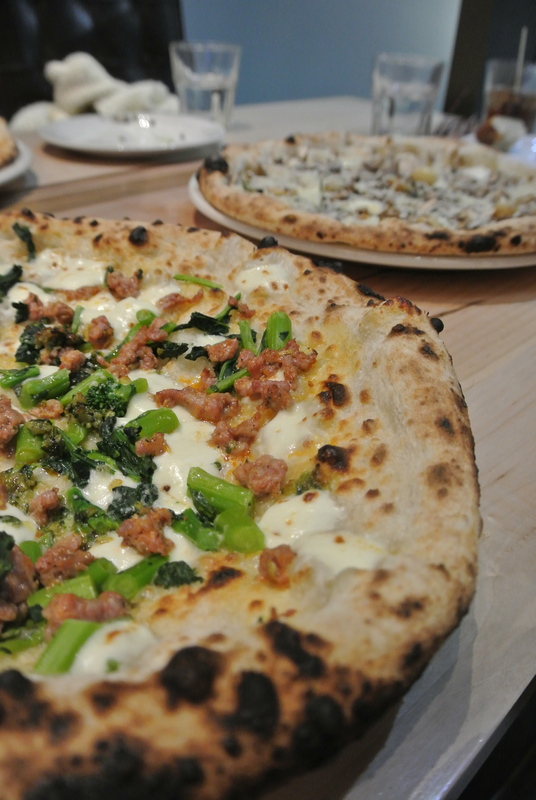 Pizzeria Libretto is another restaurant that I was able to cross off. Now that they have opened an outpost in the financial district (literally 2 blocks away from my office), there was just no excuse to hold off any longer. A few of my colleagues decided to go for dinner one night and it was busy, for the first and second seating. 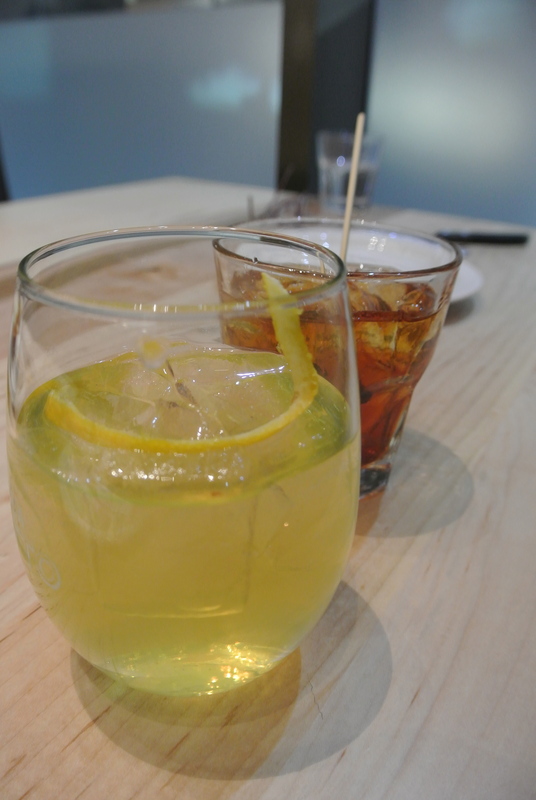 I started the meal with a cocktail (can’t remember the name but I remember the sweet limoncello taste!) and burrata served atop lentils and pea shoots. The it was time for the pizzas. 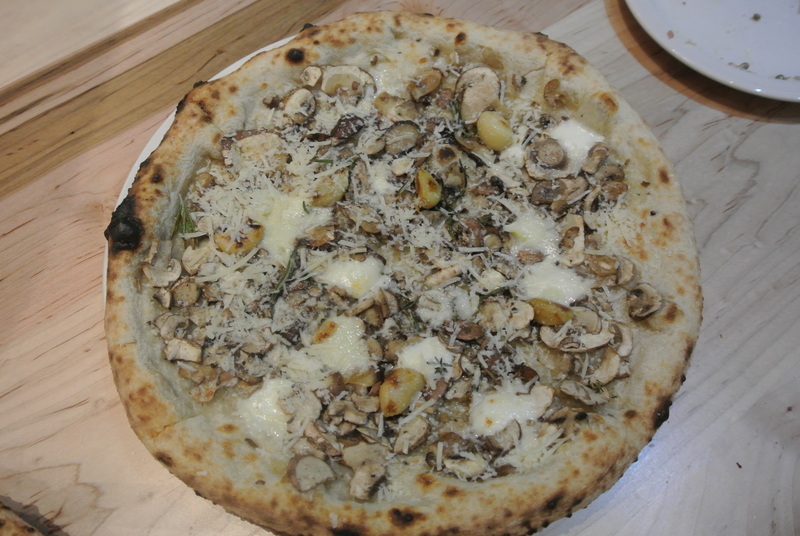 Classically made in the neopolitan way, my favourite was the white pizza of cremini mushroom, roasted garlic, buffalo mozzarella, gorgonzola, rosemary, thyme and pecorino. It was delicious, with almost truffle-like flavour! 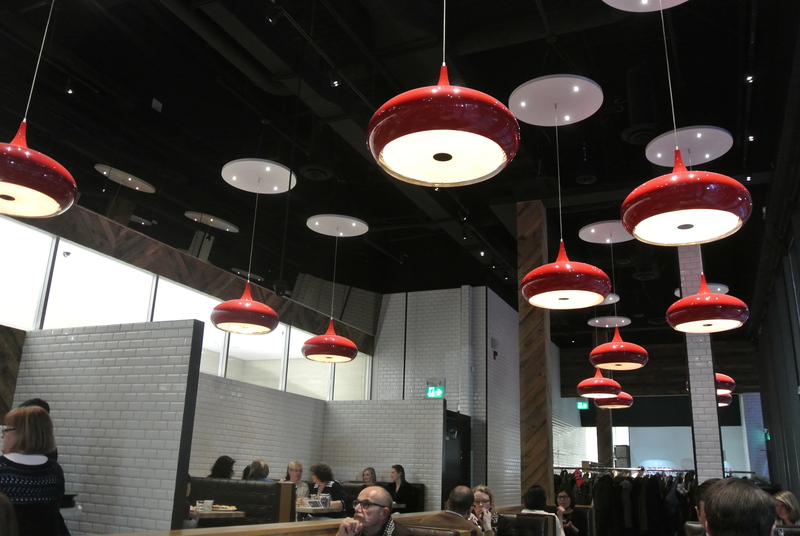 And if you eat your way through the entire pizza, they are sizeable pies, definitely order the panna cotta. 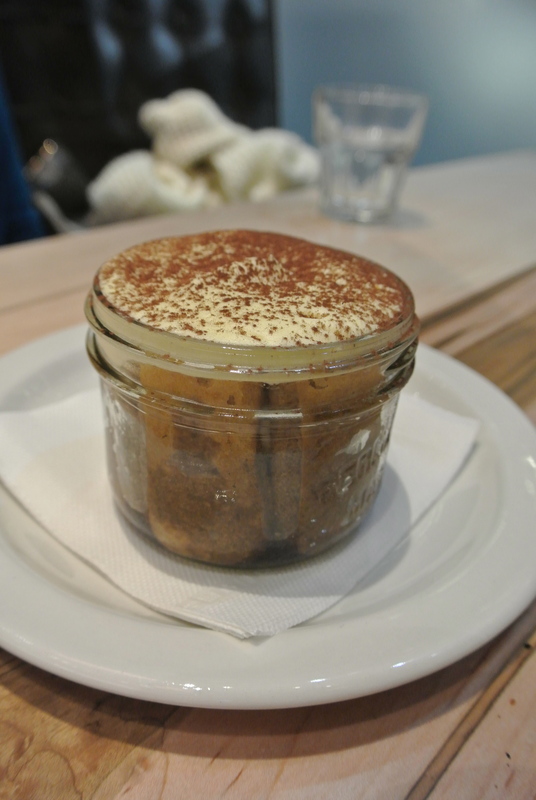 Now I know what you’re thinking, tiramisu right? 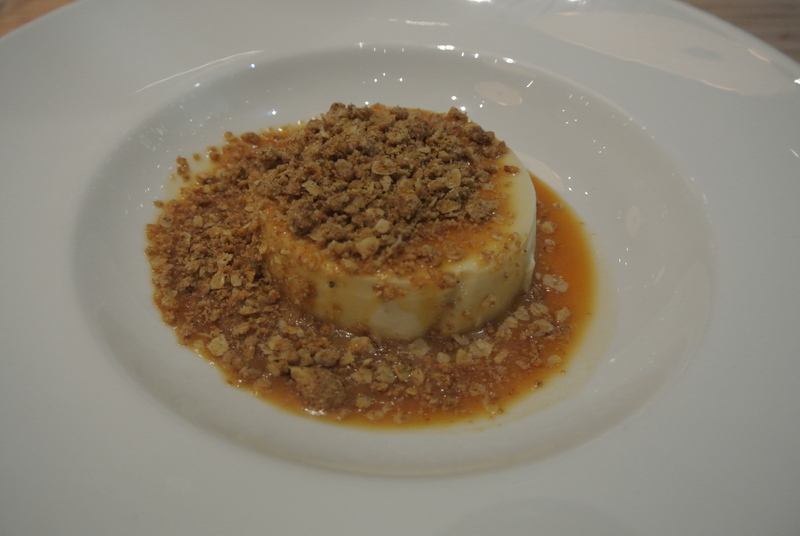 But no, the panna cotta was surprisingly tasty – everyone knows tiramisu which is why I recommend the panna cotta. 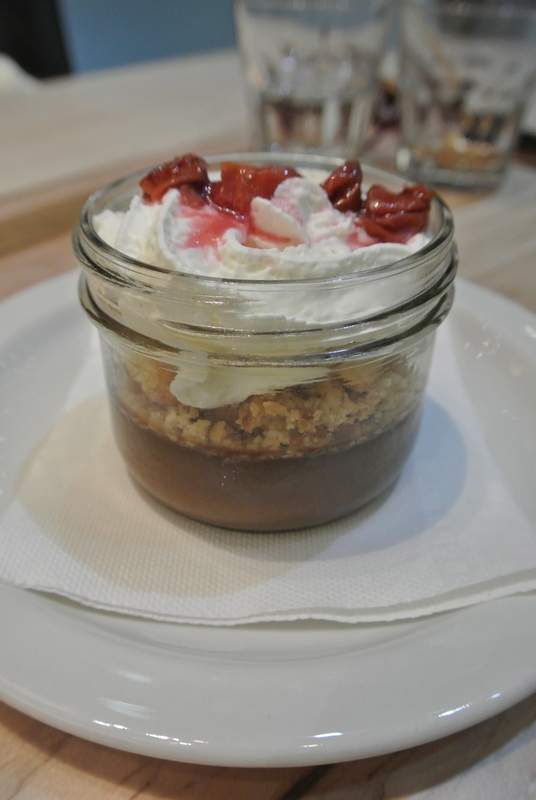 I believe the accompaniment changes season to season and at this time, it was served with maple syrup and granola crumble. Yum! 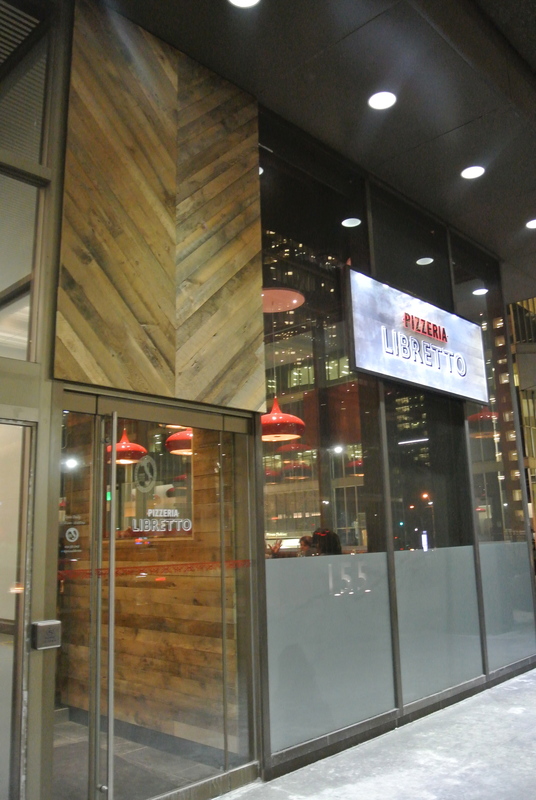 The most recent outpost of Pizzeria Libretto in the financial district. 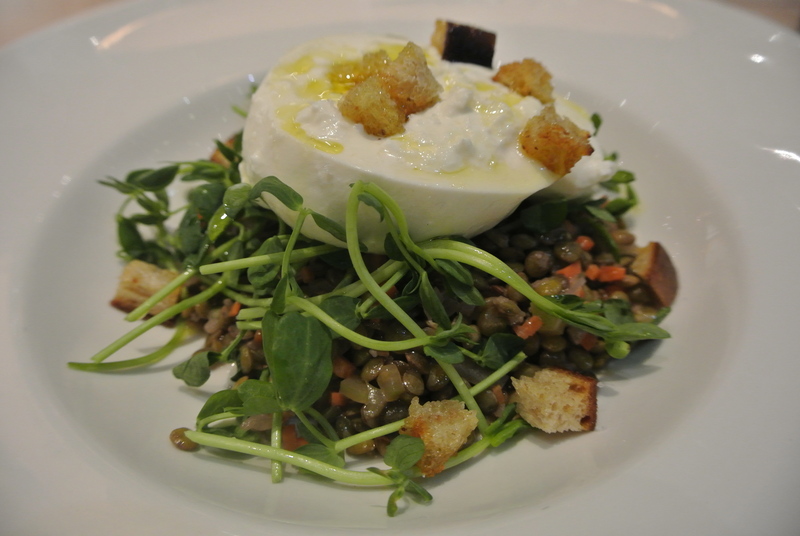 A burrata appetizer with lentils, pea shoots, croutons and vin cotto. Starting the meal with cocktails. 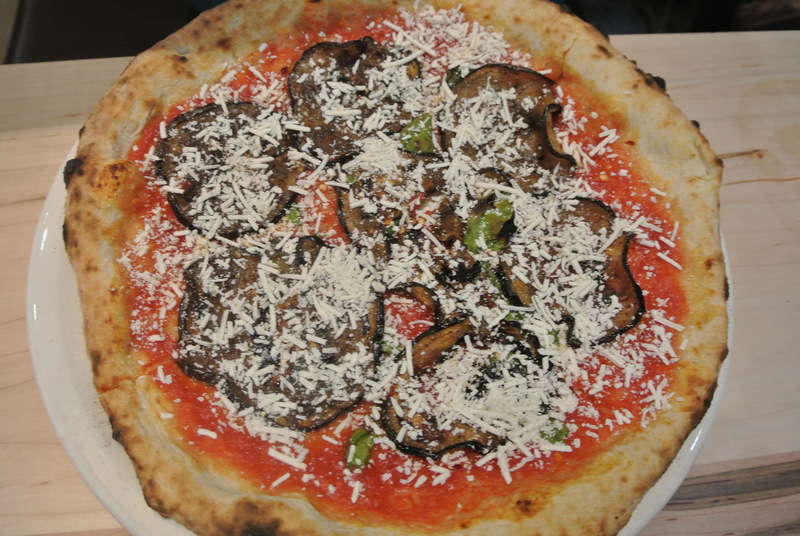 Cremini mushroom pizza with roasted garlic, buffalo mozzarella, gorgonzola, rosemary, thyme and pecorino. Grilled eggplant pizza with tomato, basil, chilli flakes and ricotta. Special for the night, sausage pizza.